Marci Fair and her now thirteen-year-old daughter Elle have coauthored their sixth book in the series featuring Elle’s two favorite stuffed animals, Ellie the Elephant and Pudgy the Penguin. I’ve read and reviewed ELLIE GOES BACK TO SCHOOL, ELLIE’S BEST BEACH VACATION EVER, and ELLIE’S FUN DAY AT THE FARM and thought they were such great books for kids. 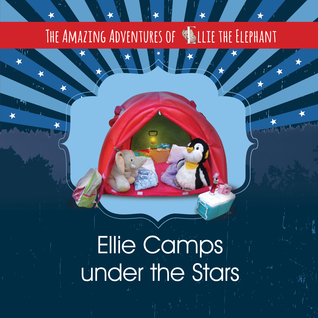 This time, Ellie and Pudgy explore the great outdoors through a camping trip together. Through hiking, building a campfire, and experiencing the beauty of nature Ellie and Pudgy teach kids the importance of appreciating their environment. 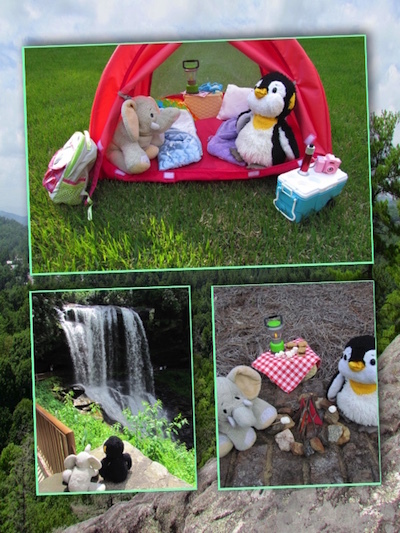 Like the other books in the series, real photographs show Ellie and Pudgy visiting various locations and taking part in activities while being silly and showing kids that it can be fun to explore along with being safe. 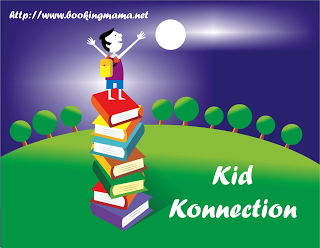 The pages don’t just share the story but ask for interaction from the kids such as looking for the butterfly that paid Ellie and Pudgy a visit or finding the constellations in the sky. There are puzzles at the end of the book and a parent guide for talking about the importance of taking care of our planet and what we can do to make a difference. I have read this series of books to kids and they love that stuffed animals are telling the story and have mentioned that they want to take their stuffed animals on adventures like this. These stories are a great way to encourage imagination while teaching a particular lesson. Plus, I love that a child is involved in the creation of these stories for children. Elle Fair has a bright future! 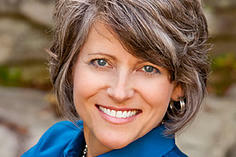 Marci Fair is a mother of four. She is the founder of Kares 4 Kids, a charitable foundation that has served over thirty-seven thousand children in the past eleven years. Marci is also the author of TILT: 7 Solutions to Be A Guilt-Free Working Mom and encourages parents to remember that “Balance is impossible; memories are better.” For more information, check out her website, HERE. Elle Fair is Marci’s thirteen-year-old daughter and collaborator for the AMAZING ADVENTURES OF ELLIE THE ELEPHANT series. She and her mom have been creating these stories since Elle was eight. A fan of books and stuffed animals both, Elle enjoys collaborating and speaking on this creative endeavor with her mom.